**This post contains affiliate links and I will be compensated if you make a purchase after clicking on my links. All thoughts are 100% my own. The new year is in full swing, and many of us are taking the opportunity to start over with an all new YOU. Sometimes that means changing habits--- becoming more organized, etc... but sometimes it can be fun to create an all new look too! Throughout the month, I will be sharing a few tips and how tos for some of my favorite looks, but for now I wanted to share with you my top 5 beauty must haves to create your new look this year. Curling Wand. I love a great curl--- there's just something so feminine and pretty about that style, isn't there!? Throughout the years I have tried many sizes and styles of rollers and irons and have never found one that worked well for more frequent use... until I tried a curling wand! They offer a tapered curl giving you a fuller curl up top and tighter as they go down... gorgeous and they seem to be much quicker too. I can usually have my hair done in about 25-35 minutes give or take, and I have extremely long and thick hair. I have found the key to getting a good curl if finding the proper size. Again, my hair is thick and long, and I prefer the look I get from a larger wand. My daughter's hair much finer and thinner, not to mention shorter, and we found a thin works best for her. You can even mix and match (wider for lower layers, thinner for the top) to find the perfect look for you! Either way a curling wand is definitely my top hair must have. Mascara. I actually tend to keep a VERY basic makeup routine, only 3-4 products on any given day, but a good mascara is definitely a must. I already have long, thick lashes anyway, but love getting something that thickens and really makes them stand out. Without anything else, mascara can truly brighten up your look in an instant. A Bold Lip Color. If you follow me on Instagram, you might have noticed that I really enjoy a bold lip. The rest of my makeup is very simple, but my lips is where I have the fun. You can never go wrong with a gorgeous red, but play around with other fun colors like a deep plum or rich brown. Personally, my go to lip color is Lipsense, but there are many great colors and stains if that's not your cup of tea! A Good Foundation. Like I said, my makeup routine is very simple... in fact, I've listed it all right here--- mascara, a bold lip and a good foundation! That's pretty much it. A good foundation will help even out any uneven skin tones and help you look your best. I'll occasionally use a powder over it or some concealer if absolutely necessary, but for the most part, the foundation is all I need. Moisturizer/Sunscreen. Good skincare in general is key, but more than anything for me a moisturizer is a must. I have dry skin so this just helps keep my skin from going flaky, etc. I tend to use an anti-aging moisturizer as I figure it's best to be proactive there. When possible, I try to choose either a moisturizer and/or a foundation that includes some sunscreen too. And those are my beauty basics--- it may be simple, but it creates an impact and doesn't take long either--- very important for me as a mom! 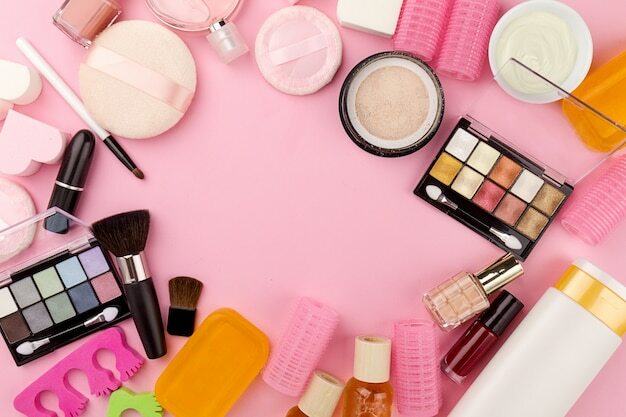 Another huge importance for me when it comes to my beauty routine is that it fits into my budget--- while still working well! Today, I am excite to share with you a great deal to help you update your beauty routine for the new year. Today and tomorrow only (January 8-9), you can save 20% off your $50 purchase at Sally Beauty Supply with the code 888306. Head on over to grab this deal while it lasts!